Members from WDBKA had an enjoyable time at the Apple Day at Groves Nursery. 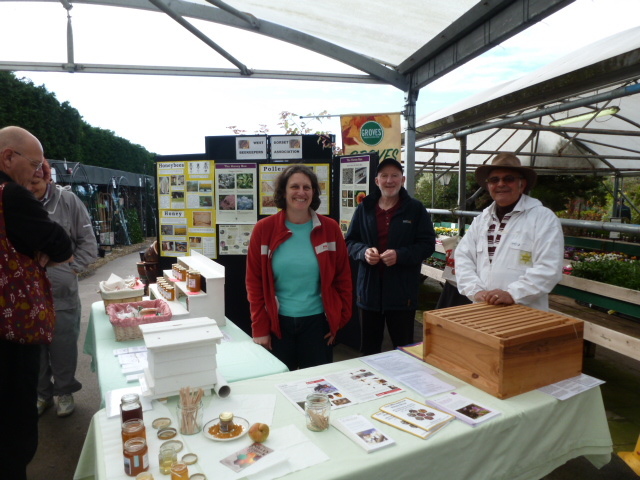 The information stand was visited by many folk who were interested to chat about bees and taste the variety of honey samples on offer. Thank you to everyone who gave time to help out on the day, baked cakes and biscuits for sale, donated honey and pollen for people to try … and generally all worked together to promote our Association and enthusiasm for Beekeeping!